Renee Zellweger will be heading over the rainbow for her next film project, which will see her play Judy Garland at the tail end of her career. 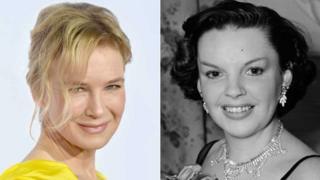 The Bridget Jones star will play the Wizard of Oz actress in Judy, which will focus on her final concerts in London in the late 1960s. Britain’s Rupert Goold will direct the film, set to begin filming in February. At 48, Zellweger is currently one year older than Garland was when she died of an overdose in June 1969. Judy is written by Tom Edge, whose credits include Netflix’s royal drama The Crown and the BBC’s adaptations of JK Rowling’s pseudonymously written Cormoran Strike novels. The film will begin in winter 1968, when Garland came to London to perform a series of sell-out concerts at the Talk of the Town, now the Hippodrome Casino. The same period in Garland’s life formed the basis of End of the Rainbow, a 2005 play by Peter Quilter that had runs in Sydney, London and New York. Best known for playing the title role in the Bridget Jones films, Zellweger has also been seen in Chicago, Jerry Maguire and Cold Mountain, for which she won an Oscar in 2004. Game of Thrones finale: What did the critics think?